Blocks and contrasting solid colors make this milestone birthday invitation eye-catching and unique! 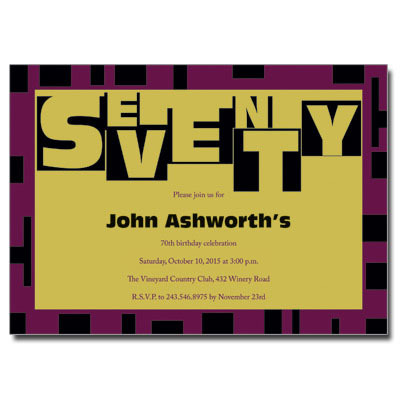 Party details are printed beneath a bold header, the word 'Seventy' formed by letters stacked like blocks. A strong border in purple and black frames the design. Card measures 7x5.